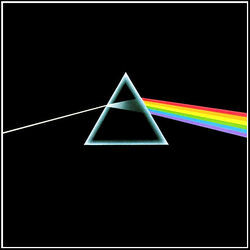 At least one picture of or reference to Pink Floyd's album The Dark Side of the Moon is required in any discussion about Progressive Rock music. Progressive Rock is known for—among other things—its complexity, its difficulty in performing, and the talent and virtuosity of its associated musicians. And you, the average Prog fan, feel discouraged from making a foray into writing and recording Prog music of your own for—among other things—your utter lack of those three things. You also have no money, but we can’t help with that. However—unknown to most—Progressive music is like any other genre of music in that it has a number of characteristics that can be identified, abstracted, and distilled into a series of steps that you (yes, you!) can follow to write your very own Progressive Rock song. 1.2 Who Cares About America? 6.2 Part II:Cower! You! Before My Massive Intellect! Before you take a swing at writing your very own Prog there are certain criteria you must meet. If you fail to meet one or more of these, it is recommended that you avoid writing Progressive Rock at all costs. If your IQ is under 130, or if you are unable to pretend that your IQ is not under 130, you should not even attempt writing Prog Rock. Progressive Rock is—to put it bluntly—for smart people. If you are not one of these smart people, you simply cannot make Progressive Rock music. 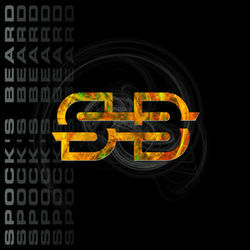 If you want to be taken seriously at all, do not mention Spock's Beard in a discussion about Prog Rock, for they are American. As anyone who knows anything about anything will tell you, Americans can't make Prog Rock. With the exception of select works by Dream Theater and Frank Zappa, everything that has come out of the American Prog scene is decidedly not brilliant. Being English, conversely, is ideally suited to writing Prog Rock. The English have a number of inborn traits—their natural wit, charm, accent, perpetual state of melancholy, etc.—that make them ideal Progressive Rock writers. It is no surprise that all of the best Prog groups—Pink Floyd; King Crimson; Yes; King Crimson; Genesis; Pink Floyd; King Crimson; King Crimson; King Crimson; and Emerson, Lake & Palmer—are all from the United Kingdom. Being Swedish can also help if you're into third wave of Progressive Rock Music. Being Italian is great, because Italians were great at ripping off Genesis and Jethro Tull in the seventies. Being Canadian isn't bad either, as Rush is from there. Rush! One of the most important stipulations to writing Progressive Rock is possessing an unconventional name of some kind. This can be achieved either with your given name—provided it's something like “Fish” or “Robert Fripp” or “Peter Gabriel” or “Robert Fripp”—or with your band name—something like “Pink Floyd” or “King Crimson” or “Porcupine Tree” or “King Crimson.” The more outlandish your name, the more seriously you will be taken by the International Prog Rock scene. Being able to play an instrument helps. Also, some musical training, an inclination to write Prog music, and eyes. Now that you're absolutely sure you're qualified to write your very own Prog masterpiece, it is time to determine just what your song will be about. There are a number of methods you can use to do this. 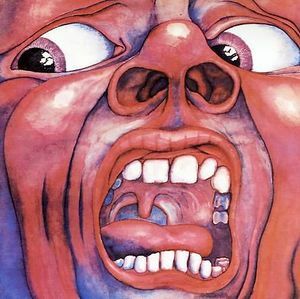 If you're talking about Progressive Rock and want to sound smarter and more sophisticated than the person you're talking to, it is recommended you reference King Crimson and/or their first album at least once. Interesting things accessible to the average person, etc. The Opposite Method is used extensively by bands like Pink Floyd and King Crimson—although the practice is certainly not limited to these groups—and is considered one of the most effective and sure-fire ways to come up with an effective concept for a Prog Rock song. 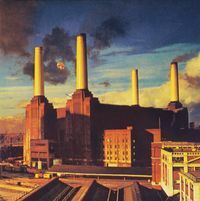 If you're discussing albums that critique things, mentioning the Pink Floyd album Animals is typically considered appropriate. The benefit of critique songs is that they are typically thought of as being socially pertinent, and are therefore highly esteemed. This method only works if you’ve decided to write a concept album, and so for our purposes will not be discussed in-depth. For the “Concept Method,” pick one episode that fits into a larger story (the “concept” of your album) and write about it. If you don't have enough material for the whole album, just append "part one" to the name of the song. You can record "part two" as a complete album decades later when you become famous. The “Random Imagery” method is at once the easiest and most difficult method to determining Progressive Rock subject matter. To master this method, you need only to write a series of vaguely related, cryptic lyrics that give a sense of a larger—typically trippy—whole. This method was used extensively by early (you guessed it!) Pink Floyd, as well as Genesis, but especially Yes, considered the masters of random imagery. This lyrical method fell out of favor for quite some time, however, with the rising popularity of bands like (OK, only) The Mars Volta, it has been making a comeback. Once you’ve selected your concept and/or subject matter, it is time to write your lyrics. In a standard Rock song, this would be a fairly simple affair, and would follow a typical verse/chorus pattern or variant thereof. However, such a simplistic practice is highly discouraged with Progressive music, and should be avoided at all costs. When discussing Prog Rock, it is good to occasionally mention bands other than Pink Floyd and King Crimson, to show that you are a true connoisseur. Instead of the typical verse/chorus lyrical structure, it is better that you use a structure that follows no discernable pattern—outside the context of the song, at least—at all. It is best to use at least three—although four to five is typically encouraged—completely different verse structures, with completely different rhyme schemes, all of which are metered completely differently. Ideally, at least one of these won’t be sung, but spoken or whispered in prose in the middle of a lengthy instrumental interlude at a barely audible volume just beneath the guitar riff. If said spoken prose part is a pre-recorded soundbite of a notable person (perhaps one you are criticizing, see “Critique Method”) or dialogue from one of the characters in the story of your concept album (see “Concept Method”), this technique works even better. Another popular method is to have your song go through various “acts,” with each verse or set of verses conveying a different “feel” appropriate to the subject matter or story action. If someone dares ask you “why not just make them into separate songs, if they’re so different?”, completely ignore their question, because breaking up your lengthy song into shorter ones would be regressive. Utilizing these and other Prog techniques will give your song a sense of “complete differentness” and will make it sound “brainy” and “sophisticated,” which will in term lead to massive critical acclaim. This aspect is fairly straightforward in that it can reduced to one, simple tidbit of advice: the bigger the words, the better. Although in pop music making your song incomprehensible is generally a bad thing (though the members of King Crimson would probably disagree), in progressive rock it is always good to "push the envelope". In addition, it is typically a good thing to rhyme words that are longer than one syllable long, something that—in the realms of standard Rock and Rap music—is notoriously hard to do. Once you’ve got your lyrics written out, you've of course got to set them to music. Although this may seem like the most difficult aspect to do given the reputation of Progressive music, it is in fact very simple so long as one keeps the following conventions in mind. Referring to Opeth gives you cred within both the Progressive and Death Metal scenes. Working with any genre outside these few, pre-prescribed ones will result in utter failure, as your song will not be Progressive. Referring to Camel gives you cred with all 38 of the band's avid fans. Although most of your music will be played on standard, run-of-the-mill Rock instruments like the guitar, bass, and drums, it is highly recommended that you include at least a fourth, fifth, or twelfth instrument to “spice things up.” This additional instrument will almost certainly be a saxophone and/or keyboard/synthesizer, although if you’re feeling exotic feel free to try something along the lines of a mellotron, cello, flute, mandolin, sitar, or even an extra guitar. You could even go the route of an entire orchestra, like Pink Floyd and ELP did. Remember: the more instruments, the better. Although instrumentation is extremely important, all those extra, exotic instruments will be meaningless if they are not given at least one solo in the course of your song. The suggested number of solos per song hangs at about two to three (one of which must, must, be a guitar solo), although the instrumentation rule applies here in that the more solos your song has, the better. 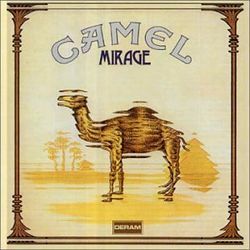 Some bands—most notably Camel—take this notion to heart, and write music that consists almost entirely of various instrumental solos linked to other instrumental solos by less important instrumental solos. In addition, your solos must follow certain conventions in order to truly be considered Progressive. Ideally, they will show off the musicianship of the person playing the instrument, have at least one section of really fast chromatic scales, have at least one section of really long, droning, “spacey” notes, and make up at least 35-40% of the entire song. Finally, avoid the Pentatonic Minor scale like the plague, for it is used in all pop music. Harmonic/Chromatic scales and unusual Modes are recommended, and if you really want to impress your audience, you could go as far as actually inventing a completely new scale. If you are a guitarist there are some other things you can do, especially adopting new technologies such as guitar synthesizers for a more exotic and unusual sound, and using/inventing unconventional tunings. Genesis did it. King Crimson did it. If you want to be taken seriously, you gotta do it. 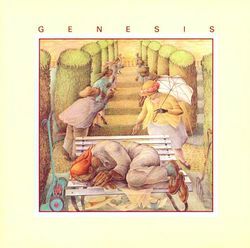 In addition to large numbers of solo sections, a good progressive rock song should also include—at the very least—two entirely instrumental sections. These create opportunities for progressive rock musicians to not only show off their superior musicianship, but also their clearly superior songwriting abilities. They can convey ideas and events in ways that cannot be achieved through conventional approaches such as lyrics. This is particularly useful in concept or "story" songs. Instrumental sections also add much needed length to a song and are especially advisable in the writing of the iconic epic. To write a good interlude a band will often take a simple riff that a member has come up with and will proceed to make a very complex song section out of it. This often involves the layering of many parts over it and perhaps the modification of the riff to make it fit a more unconventional time signature (the weirder the better, but this will not be discussed in this article). When writing twenty minute (or longer) epics interludes are sometimes repeated and varied. To get an idea of how to write good interludes and variations, listen to Yes. Once you’ve written out your music, you’ve nothing left to do but record it. This is where everything “comes together,” so to speak. While in the studio, over-utilizing whatever technology is available to you (typically stereo sound, although don’t limit yourself) is extremely important. Once that’s been done, add at least one or two random sound effects—ambient electronic noises, barking dogs, cars driving, children crying, etc.—to your song for effect. Finally, you’ve finished, and your Prog song is completed. 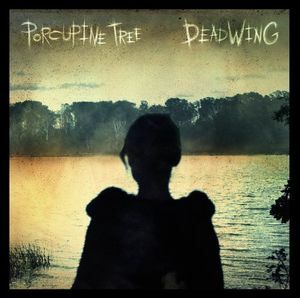 Making reference to Porcupine Tree gives you cred with the younger generation of Prog fans. Something most people cannot do. Capable of something most are not. So this is a Prog song about Prog songs? Yes, I guess you could say something like that; yeah. Hah, that’s very clever and interesting. 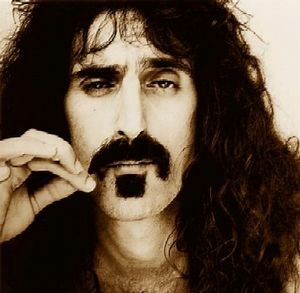 A Frank Zappa reference doesn't hurt, either. I’m so much smarter than everyone! Yes! so much smarter than everyone! Woe to you that aren’t as smart as me! I’m so much smarter than everyone. That aren’t as smart as me. Part II:Cower! You! Before My Massive Intellect! Really wanna impress someone? 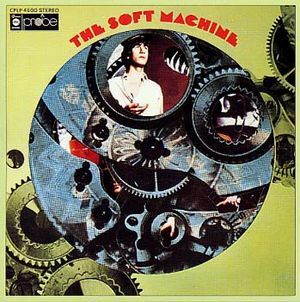 Drop a Soft Machine reference. For one of the likes of you! 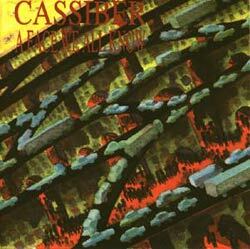 Name-drop Cassiber if you want some serious cred in the avant-garde circles. Have we mentioned King Crimson? This page was last edited on 31 January 2015, at 19:36.